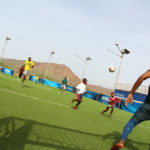 Under the invitation of Delta Cultura Educational Centre, five players from Tarrafal, who have been promoting the name of Tarrafal and Cape Verde in the world of football abroad, made a visit to the Delta Cultura Educational Centre. Such players, socially and sportingly known as Patrick (or Patas for the closest ones), Tom, Tú, Ballack and Kisley. 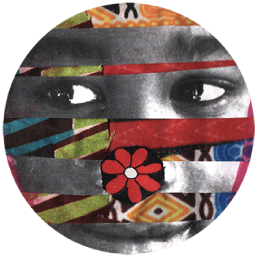 Note that Patrick, Tom and Tú are players who had their juvinile training at the Football School of Delta Cultura. However, Ballack and Kisley were part of the Football School of Chão Bom. 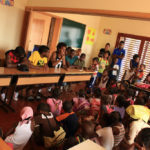 The visit took place on the afternoon of June 23rd of this year, and was attended by about 60 children and young participants of Delta Cultura Educational Centre, who rarely would have the opportunity to be face to face with all the five athletes. 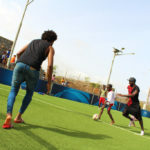 About the visit itself, it began in a conference way, where players first presented to children and youth, although most had already been known. 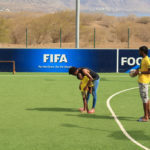 After each of the players shared a little bit about themselves with the participants, giving them to know their experiences in the world of football out there, the beginning of their careers, the difficulties they had to face, as well as the requirements for power add in this world so competitive. 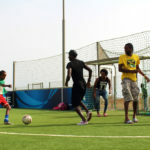 Note that in all instances the players did not fail to emphasize and reinforce the importance of education for these children if they want to succeed in the professional world, regardless of whether the career is in football or not. Because as they said, “… to succeed in football, it is necessary that the person can read (to understand the contract he wants to sign), write (to sign the contract) and do calculations (when you receive your paycheck) …”. Then children and youth, who mostly dream of tracing the same paths that these players had the opportunity to ask questions to the players, clarifying their doubts, feeding their curiosity, and asking for advices. 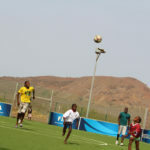 Even before ending the visit, the children had the opportunity to play a football match with our distinguished athletes. 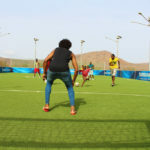 And in a playful environment, our children and youth gave a rout to players who only managed to score a sip through a child from the center of 6 years of age who strengthened their team at the last minute. 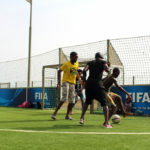 The fun was the essential element in this match. 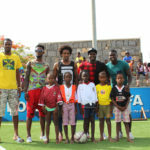 So, Delta Cultura, on behalf of children and youth, thanks the players for the visit and wish success and great achievements in their respective football careers. 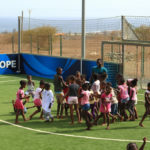 This entry was posted in Uncategorized, What we do and tagged Children and Youths, Delta Cultura Cabo Verde, Delta Cultura Educational Centre, football games, football school, Football School Tarrafal, football weekend, Professional players, tarrafal. Bookmark the permalink.